Sometimes you are in a mood to fool your friends but are unable to think of any prank. 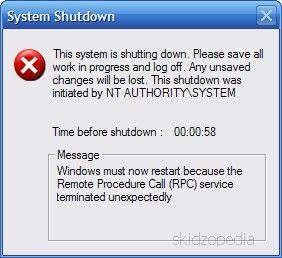 What could be more fun to create a fake computer virus that once executed displays a ‘shutdown system‘ message and eventually shuts the system down after the specified time has elapsed. Harmless but fun! Any one can create this fake computer virus. In this tutorial I will demonstrate a step by step procedure on how to create a fake virus in Windows. If you find any trouble understanding the trick, drop a comment. -t represents time in seconds, in this case its 300 secs (5 minutes). You can set to any value you want. -c represents comment. Here you can type any comment which will appear in the shutdown message. Don’t forget to write your message between quotes as shown above. Step #4. Enter any shortcut name that you think is more likely to be clicked by your friends; in this tutorial however, I have entered – firefox. Click Ok and you’ll see a shortcut on your desktop. However there is one problem, the icon doesn’t seem to be a Firefox icon as seen below, therefore we’ll have to change the icon. Step #5. For this right click on the icon, click Properties->Change Icon. A warning will appear click OK. Step #6. Next up, you will have to select the appropriate icon against the shortcut name. If for instance, you have typed ‘Internet Explorer‘ as a shortcut name, scroll and select IE icon for this and in case you have typed Firefox or any other program, you will have to browse through the directory where that program is located. Once you are in that folder, select the icon and hit Enter. Presto! Now you have a proper icon. However, there is a shortcut arrow appearing on that icon. If you want to make this prank look more realistic, follow the procedure mentioned here to remove the shortcut overlay, else skip it. Now when ever some one will click on the icon, it will generate a system shutdown message. After the specified time is elapsed the system will shutdown. This will certainly give your friend a hard time figuring it out as to what went wrong with the system. -a represents Abort. 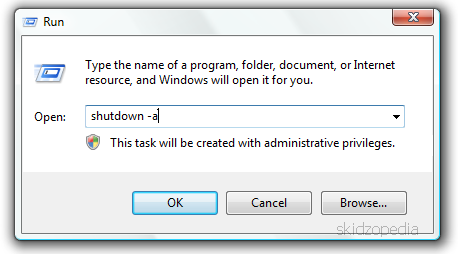 The shutdown message will disappear once this command is executed. Don’t forget to share you experiences after pulling this prank on your friends. Have Fun! nice posting. Would u plz tell me is it possible to send this shortcut file to any friend? ?Then How? ?Let me know. Copy the URL from the address bar and send it to your friends. here is a virus prank that dosn’t shut down windows. and do it with no spaces and then you save it double click it and the fake virus pops up! check out my fake virus vid! hey whoever is reading this! startup wich is on the start menu in all programs. and when it is in there it will start when windows starts!